The word ‘hectic’ is probably an adequate summary of my last few weeks. I’m at the tail end of my Masters degree, which means attending placement full-time amongst a pile of assignments while keeping an eye out on the job market. Not to mention all the other things outside of study! Maybe that’s why I wasn’t surprised when I came to the realisation that my diabetes care has fallen behind. Since being on the pump, a few people have been asking how things are going. A fair question. To be honest, I have been so caught up with everything else, that I just make sure to get the basics down of testing, entering my BGL and carbs into the pump, test two hours after, rise and repeat. Once that’s established in my routine, I never gave it a second thought. I had also stopped logging my BGLs because I got lazy. After all, the pump recorded everything. Over the weeks, I did notice my BGLs creeping slightly higher despite doing everything right. I put it down to stress and made a mental note to email my educator about it. But of course, something always came up that took precedence over downloading my pump data to email it. Another important aspect of my diabetes management that had been put on the back burner was exercise. During the first few weeks of placement, I made it a point to walk to my primary placement site, which was just over 2.5km each way. I was walking at least three times a week and absolutely enjoyed it the first few weeks. My gym sessions also started dwindling down while I was walking. But as daylight got shorter with the end of daylight savings, the days felt longer. I found myself dreading the walk home as I was exhausted by the end of the day. Soon, the weather joined the rebellion and torrential rain made it impossible to walk while the motivation to hit the gym again was sub zero. A catalyst that made me realise I needed to pick my game up was a simple message from a friend in the DOC. They noticed I hadn’t been walking as much thanks to those damn automatic Twitter Fitbit updates I forgot to disable. But having someone ask if everything was okay made me stop to realise that I am burning out. I hadn’t been paying enough attention to my health, which was probably why I was feeling like rubbish. Around then, my boyfriend started going back to the gym, which also motivated me. 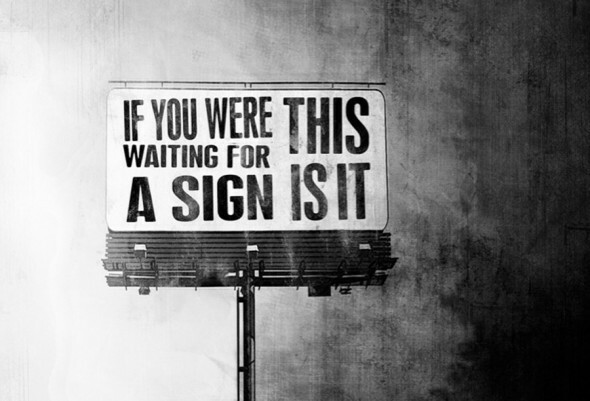 If I ever needed a sign, this was it. My first step was going back to basics and finding things I enjoyed. I hated the downloaded pump data that stared back at me on my computer screen. 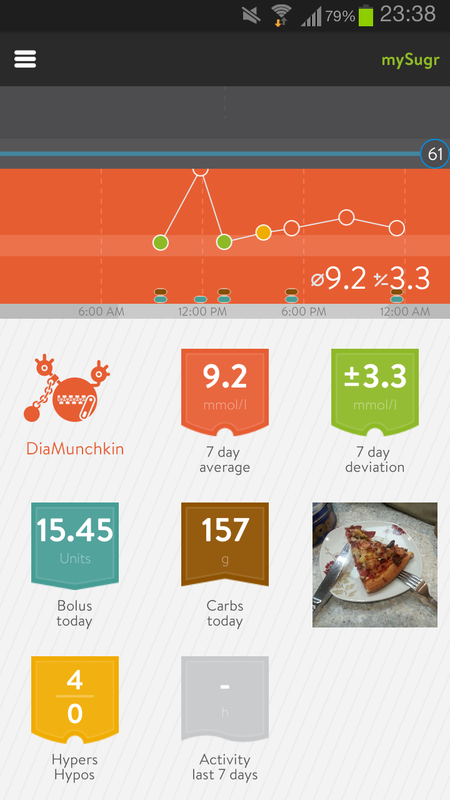 It was boring and meaningless to me, which made me realise how much I loved using the mySugr app. I’m lucky enough to be alpha testing this app and there is no doubt I have fallen in love with it. Data is colourfully presented, making it easy on the eyes. Reports the app spits out are equally impressive and well-liked by my diabetes team. So I decided to keep logging my BGLs for a week to spot any obvious patterns before getting my educator to look through it. Another aspect of my health I’m keen to kick start again is exercise. While my knee is still undergoing more investigations, there’s no reason I can’t do simple and easy things. Already this week, I surprised myself by doing two decent gym workouts after a hiatus of five weeks. It’s nowhere near what I was doing before but it’s definitely a start that I’m determined to keep working on. I will get out of this rut and prioritise my health. I will get my diabetes routine back. I will get my exercise regime back. I will do this! I will get to that green zone! Im so glad you are getting back on track. I am at home all day every day and I get out of sync at times so I can totally understand your lot with what you cram into every day. I dont know how you do it. I am going to take a look at the mySugr App Ashley. Saw a new Diabetic Educator yesterday and all is looking good. Being tested next week for 1.5 as she figures not all of me makes sense…opinions vary…lol. I had to agree with her…I dont fit a Type 2 and I have questioned this few times before over the last few years. Seeing a new doctor in a couple of weeks and Im excited about that. He isnt an Endo but works mainly with diabetics. A couple of other things are going into the pipeline and thats exciting too. So glad I read your entry a couple of weeks ago…gave me some ideas. I hope you can realise most of your dreams Ashley and keep up the great work. You are a great source for motivation and its awesome to know that people like you are out there to chat to. So glad Im not on my own with the ‘ups and downs’ and have finally found someone who completely understands and experiences them. I will be in touch when I get some more info and news…its all good. Take care Ashley and best of luck with your job hunting. The mySugr App isn’t available in Australia just yet. But hopefully in the near future! Good to hear you are doing well and getting a second opinion. Thank you again for your kind words. You are definitely not the only one with ups and downs as I have learned myself too! Now that makes sense about the app…was wondering what I was doing wrong…lol. I am so glad for another opinion thats for sure…you never know where it will lead. This disease is full of ups and downs and has its fair share of unknowns as well. I had a comment made to me when I was having a procedure done in Brisbane a couple of weeks ago….’diabetics know more than the Endos about their disease’. I grinned and thought that that was the case a lot of times. We should not be put in a category where everyone of us are the same…that couldnt be further from the truth. If we all had the same experiences, it would be boring..lol. You are more than welcome for the kind words Ashley…I take my hat off to you for being able to cram so much into each day and deal with everything else the same. We are all human and fall off the wagon every now and again…when we realise that its not going to do us any good, we climb back on again and carry on.